Ultimate Fighting Championship (UFC) will return to free television tonight (Sat., Oct. 1, 2016) as the promotion presents UFC Fight Night 96 from inside Moda Center in Portland, Oregon. The FOX Sports 1-televised event will be headlined by an intriguing Bantamweight bout, as John Lineker and John Dodson collide in an explosive 135-pound showdown. In addition, former Bellator MMA Lightweight champion Will Brooks looks to pick up his second win inside the Octagon when he faces Alex Oliveira in the co-main event of the evening. How To Watch: FOX Sports 1 main card at 10 p.m ET; FOX Sports 2 “Prelims” undercard at 8 p.m. ET; and UFC Fight Pass early “Prelims” at 7 p.m. ET. Live UFC Fight Night 96 Play-by-play coverage here! 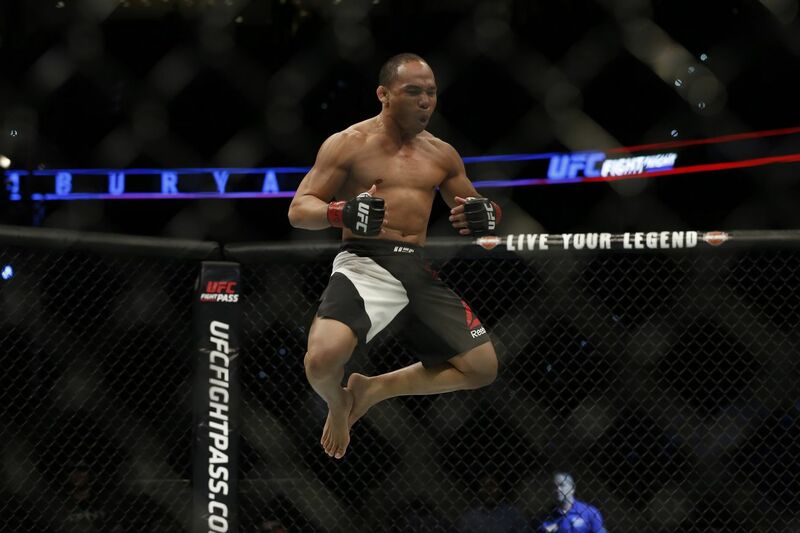 John Dodson will look to keep his momentum going since going up to Bantamweight following two failed attempts to capture the Flyweight strap, which is still in the hands of long-time roost ruler Demetrious Johnson. In his way, though, is the hard-hitting, power-packing John Lineker, who at one time was considered a title contender, but never actually got to the big dance. A win over Dodson could be what he needs to inch him closer to a potential title fight. Fightweets: Have we seen the last of Conor McGregor at featherweight?